Building a Haynes Roadster – but why? A bit about me to start. I am now retired but many years ago in the 1960’s I liked playing with all things mechanical, including cars. I bought my first car for £2 when I was 12. It was a Ford E93A Prefect, the sit up and beg one. It came with its engine in pieces on the back seat of the car and had no brakes. I guess everyone felt safer in that I wasn’t able to mess with their cars and there was no way this was ever going to go again. I had no workshop manual and no one who knew what they were doing to help me. I hadn’t even got all the parts. It took a while, some head scratching, some failed attempts and lot of improvisation. Eventually I went to a petrol station with an empty Corona pop bottle and bought a bottle full of petrol. Went to the car and put it in, primed the carburetor, connected the scrap battery I had bought and with the help of several local children pushed it and got it running! 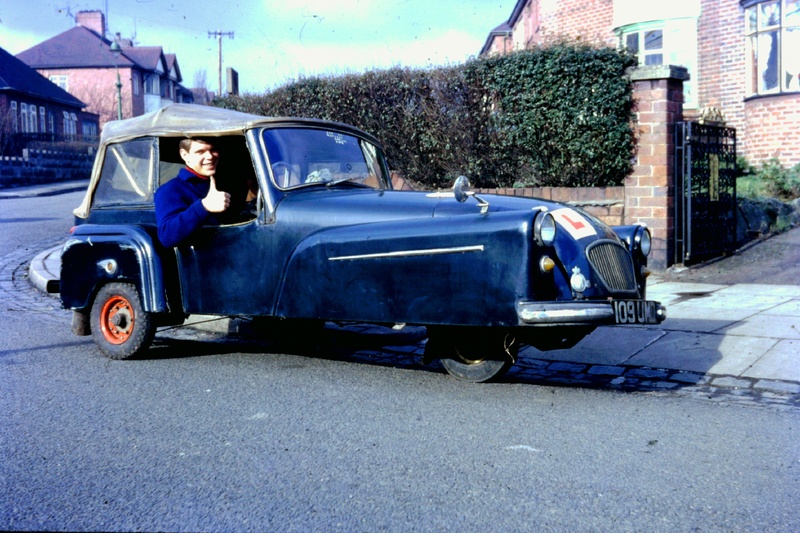 Aged 16 and with money saved up I bought my next car, a Bond Mk D three wheeler. It cost £15 and as I look back shouldn’t really have been on the road. I fixed the rod brakes, making up new actuating brackets, riveted on some new brake material onto the brake shoes and with some outside help replaced the phosphor bronze bushes that kept the front wheel going where it should. 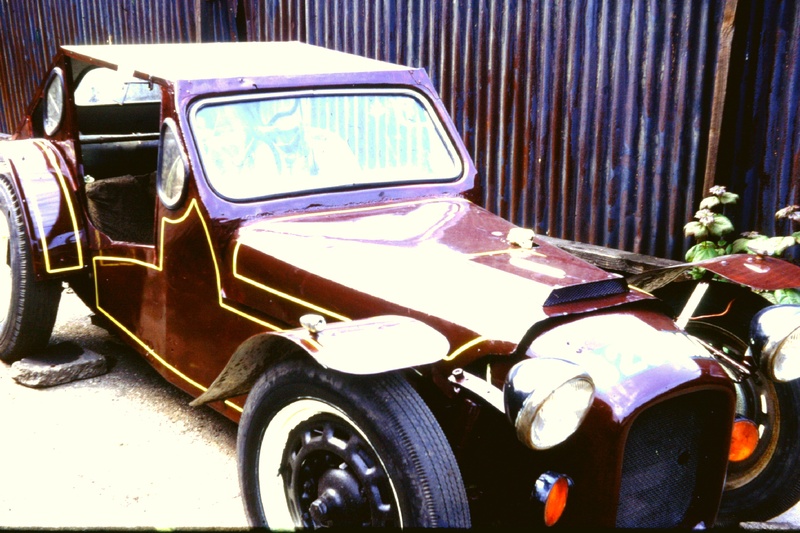 It had a 197cc Villiers 9E engine with a 3 speed gearbox which I managed to upgrade to a four speed gearbox from an Invalid Carriage. I traveled many thousands of miles in that car. I had many cars following that one some interesting many not. 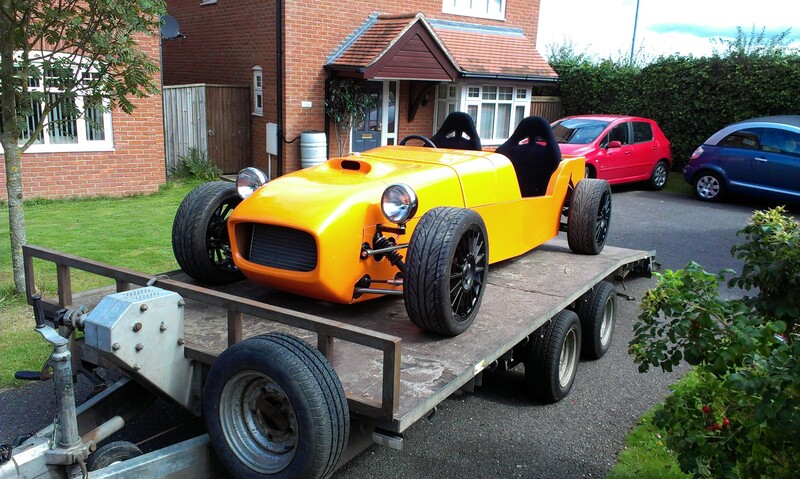 A Berkley T60, Ford 100E Prefects, Triumph Heralds and then my first kit car aged 18. An old Lotus 6. What has happened to this Lotus 6? It didn’t look like this when I bought it, this is after restoration. It was based on the old E93A I had had earlier with the front beam axle hinged in the middle. The sidevalve 1172cc engine and gearbox was replaced with a later 105E Ford Anglia unit, you can see the speedo from the donor car on the dash. The torque tube removed and replaced with a shortened propshaft. The rear axle was relocated (badly) with various rods. And the rod brakes retained! It weighed half what a normal car did then so it was very quick but not good at stopping and the poorly located rear axle kept breaking pinions as a result. I could replace one at the roadside in less time than it would take to change a wheel and tyre in the end. Like other cars it was replaced. Cars got better but I still built two more kit cars. A Ford Opus HRF (sort of model T Ford) which was awful and a Ginetta G15 (Hillman Imp engined glassfibre sports car) which was brilliant. Sadly I have no photos of either. Cars got much better, but, I discovered motorbikes. I had the most powerful production bike available aged 20, the Norton 850 Commando. Many years later I had an attack of common sense and sold my favourite bike. A V4 1100cc Honda Pan European. I had a short time back on bikes when my son was learning to ride after finishing his degree but after he passed his test he assumed ownership of it. So we are now in the present. I am retired and live in Norfolk. I have built a small bilge keel yacht for use on the Norfolk Broads which later was upgraded with a Pirate 17 yacht. 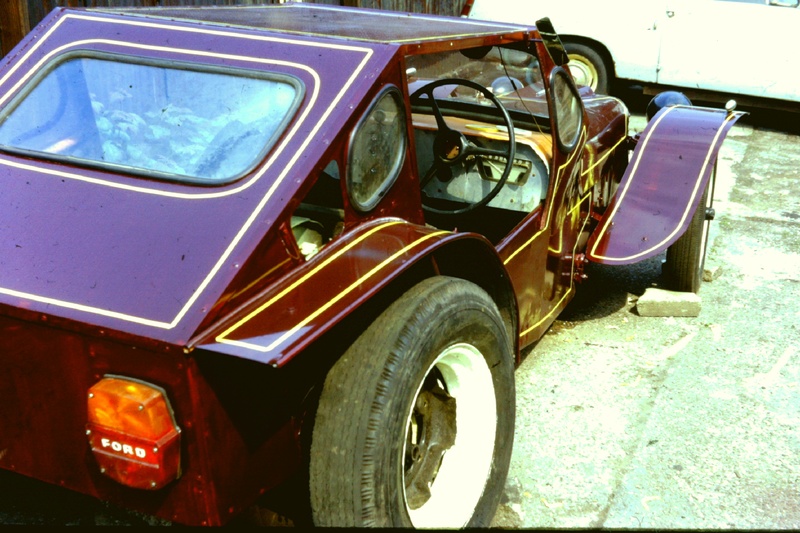 I have looked at kit cars for many years. I have looked more seriously over the last couple of years visiting the National Kitcar Show and the Total Kitcar Live event at Blyton race track. Somehow the cars seem to have shrunk, or maybe it is me. I keep coming back to the Seven style of car though. I have visited Tiger cars and GBS cars and looked at their offerings. I decided they would be too expensive for me so settled on the idea of taking over someone elses project. Having looked at many I decided one with a wider cockpit would suit me best. I decided to look for a Robin Hood 2B+. I cast my eye over the offerings on ebay. I saw one that caught my eye. The description sounded good. It didn’t make its reserve. It was local. I went to view it and agreed a price and brought it home. A part completed Haynes Roaster with a 2.0l Ford Pinto engine, 4 speed gearbox, sierra diff and wishbones fitted with something where the coilovers should be that wasn’t the right part. No electrics, brakes, dash and needed a lot of finishing.